The Professional Carpenters and Furniture-makers Association (P.C.F.A.) had been operating under different names in the various local governments in Lagos State as far back as the 1930s. However in the 1990s, Mr. Adekunle Adedeji of Alapere organized a graduation ceremony for one of his apprentices and invited the various Carpentry Masters in Ketu and Alapere to attend. It was during this meeting that the idea was floated to establish an association. This decision was based on the fact that the Carpentry Masters in the area were all friends and the defunct carpentry association in the area could not be traced. Hence on July 2nd 1991, the first state executive election and inauguration of the PCFA took place. PCFA operates in all local governments of Lagos State except Badagry. In addition the association has 5-30 zones per branch with each zone having between 20-100 members. 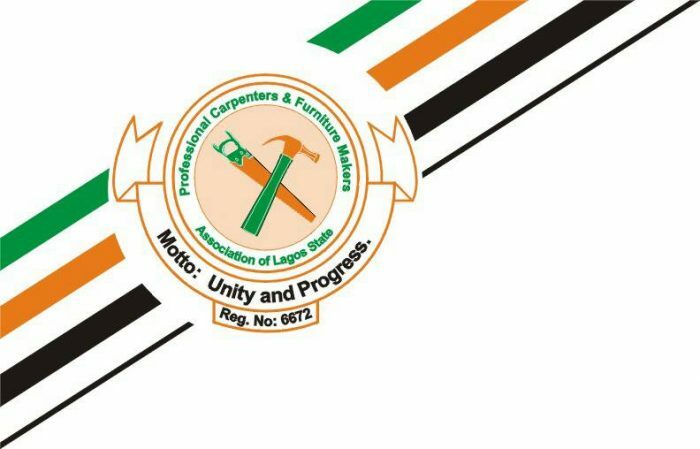 We are a network of over 100,000 carpenters and furniture-makers spread across all the local governments of Lagos State and we are ready to serve you. Kindly use our dedicated directory to identify the carpenters closest to you. We have vast experience in supporting medium to large scale construction projects and we are able to support you by providing competent personnel towards meeting your needs. In 2016 the leadership of the Lagos State PCFA took a strategic decision to partner with Jambolo Online Services an aggregator of artisan/blue collar services in Nigeria. Jambolo has provided a platform for us to showcase our products and services and as such we believe this partnership will place our members in a position to compete effectively and deliver quality services to our customers in Lagos State. Kindly use the rating tool on the Jambolo platform to rate the quality of our work as we need your feedback to continue serving you better. We believe in Jambolo and so should you!! Jambolo.com is an online business directory for artisans and small and medium scale enterprises (“SMEs”) in Nigeria.